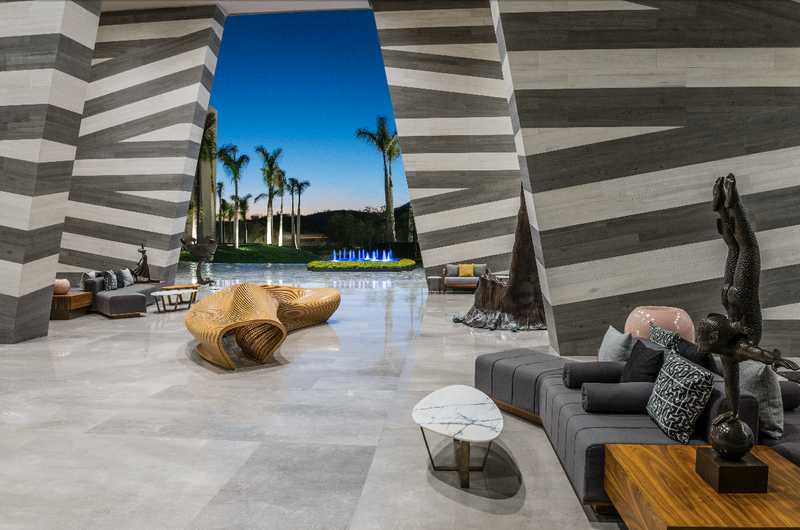 With tiered architecture and breathtaking ocean vistas, this spectacular AAA Five-Diamond Baja resort wows guests at every turn. Each suite spans more than 1,000 sq ft, and features every imaginable amenity, with original artwork and special details like binoculars for observing marine life. 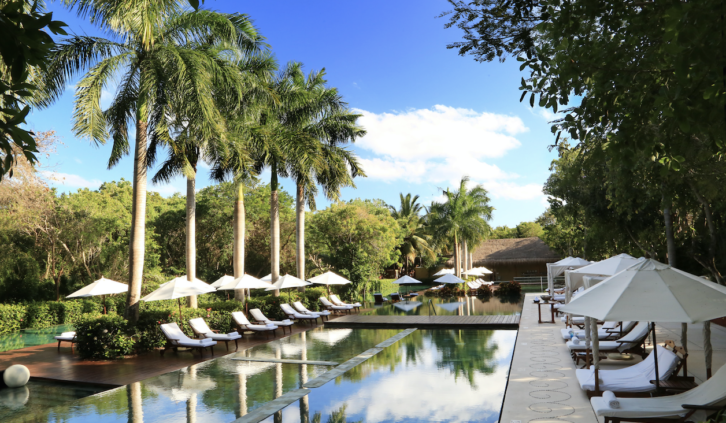 The luxury experience is completed by the region’s largest wine collection, seven dining venues, including Cocina de Autor by a Michelin-starred chef and a lavish SE Spa with a seven-step Water Journey and menu of inspired treatments. Refresh with an oceanfront yoga session, invite the kids to discover the modern Kids’ and Teens’ Clubs, and experience the unique relaxation that can only be felt where the desert meets the sea. 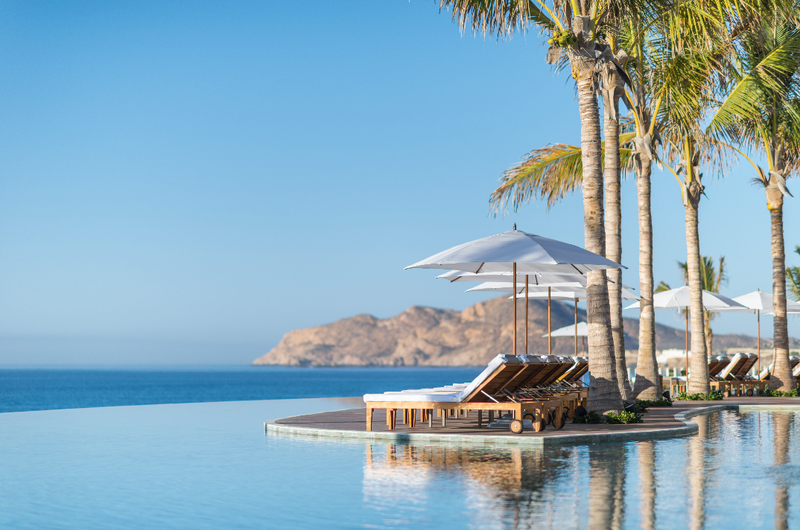 A spectacular corner suite, this oceanfront retreat features imported furniture and exquisite Mexican artwork, as well as an expansive terrace with a private pool and breathtaking views of the azure Sea of Cortez. Entertainment features include iPod docks and 65-in TVs. There is a spacious living room, dining room for eight and stocked bar with a customizable selection of premium wines and liquors. The spa-like bathrooms have double rain and handheld showers and marble walls and local woodwork. Enjoy a telescope on the terrace for spotting dolphins and whales, 24-hour in-suite and poolside butler service, VIP transportation to and from the airport, a 50-minute massage per person per day, three-hour tour on the Bella yacht, unlimited water ceremonies at the spa and eight hours of babysitting services during your stay. You’ll feel renewed the moment you enter the SE Spa, which incorporates the desert landscape and local healing elements found in nature. 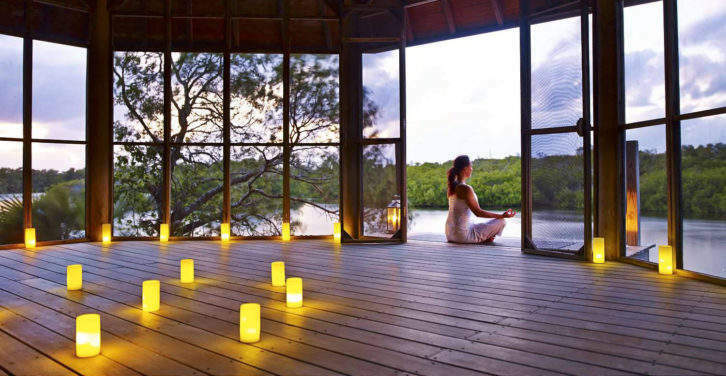 Experience restorative rituals that combine natural ingredients with tradition. Lose yourself in the seven-step Water Journey, which includes time in the ice room, clay room and experience pool. Grand Velas Los Cabos’ Spa Atelier instills the concept of wellness and a healthy lifestyle from within. In this tranquil space within the Spa facilities, guests can take part in relaxing workshops ranging from aromatherapy to natural skin care and making fresh flower mandalas petal by petal. The Atelier also encourages nutrition during cooking lessons. Make superfood energy bites, among other seasonal offerings. Signature treatments The Organic Blue Agave Facial illuminates, revitalizes, smooths, calms and hydrates with certified organic blue agave extract, returning natural brightness to the skin. Cocina de Autor is led by two-Michelin-starred chef Sidney Schutte, whose passion for travel inspires him to present different taste sensations in each multi-course tasting menu with wine pairings. Food is an art and a pleasure at Grand Velas Los Cabos, where the dining experience is every bit as breathtaking as the natural surroundings. Every year, the resort hosts various culinary festivals such as Grand Chef Stars, a gathering of star chefs working side by side to create a series of unforgettable meals. Enjoy the Over-The-Top Wine Lovers’ Getaway, perfect for oenophiles looking to explore Mexico’s fine wines. The experience features wine spa treatments, Michelin-starred dining in the middle of a vineyard, and private jet transportation to the region’s top wineries for special wine tastings. Elite Traveler Tip: For health and fitness junkies there is a TechnoGym Center with personal trainers, exercise programs, yoga, Pilates and meditation.